This evening I decided to make pizza for dinner since it always seems to taste better on Friday nights. 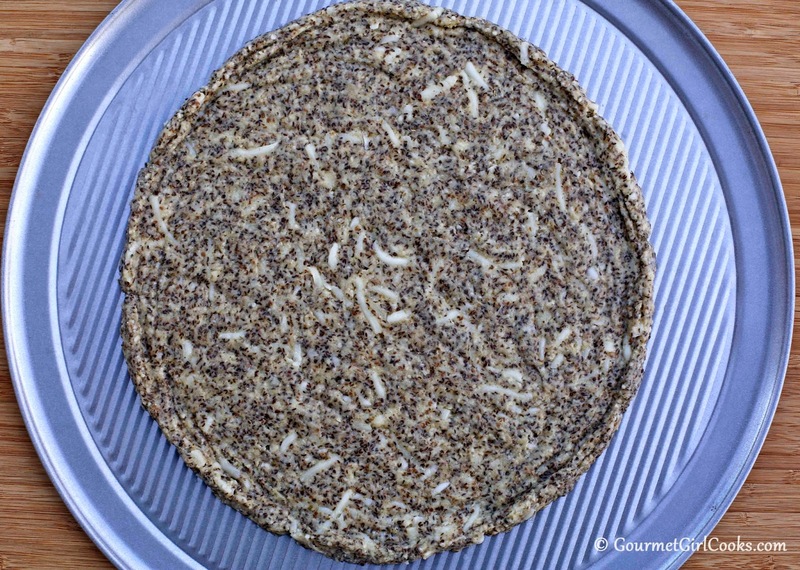 I made my no-flax crust this evening which uses almond flour and ground chia seeds instead of ground flax in the dough. 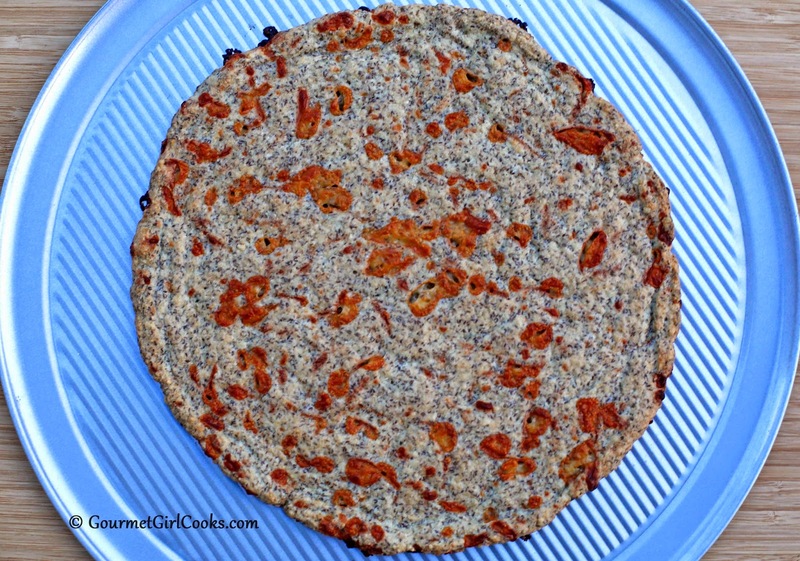 I originally created my no-flax pizza crust recipe after receiving requests from several followers that did not care for flax. Personally, I don't mind golden flax since it's much more mild tasting than regular brown flax. 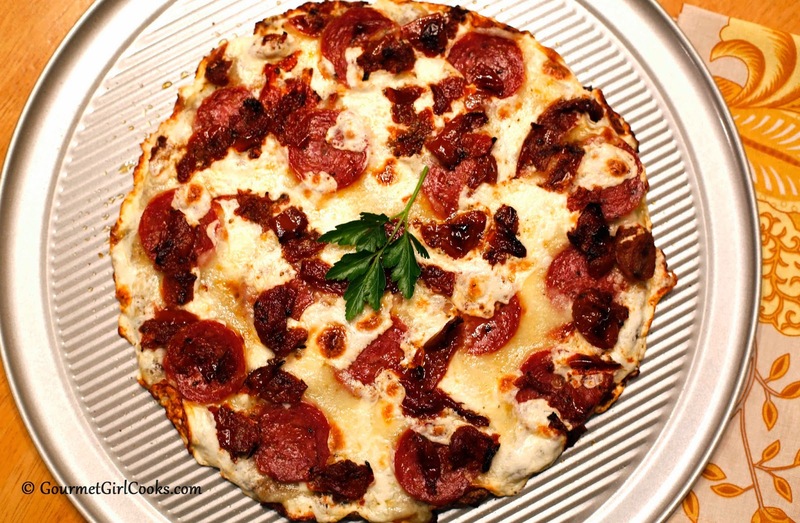 I like all of my numerous pizza crust recipes and have at least five or more different crust recipes. I have one that doesn't use any nut flour and only uses ground golden flax; one that uses almond flour and ground golden flax; one that uses almond flour and ground chia seeds and a deep dish crust version that uses almond flour, ground golden flax and coconut flour. I also have a cauliflower pizza crust recipe. Very soon after going low carb, I began working on making a decent low carb crust since I didn't care for a couple of the other recipes that I had tried. Pizza was one of the foods I didn't want to have to give up and it made all the difference in the world knowing that I could still enjoy a decent pizza on Friday nights with a crust that I could actually pick up and eat like a regular wheat crust pizza. 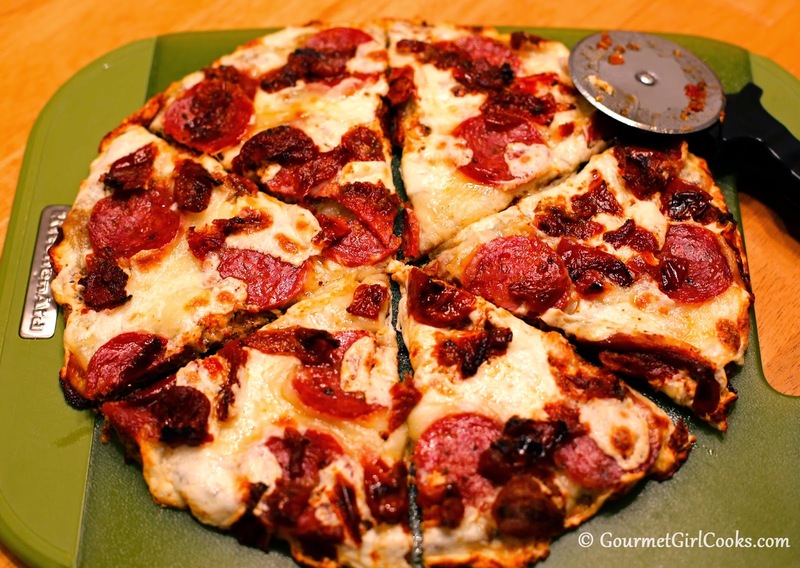 I snapped a few photos of tonight's Salami, Roasted Tomato & Cheese pizza below. 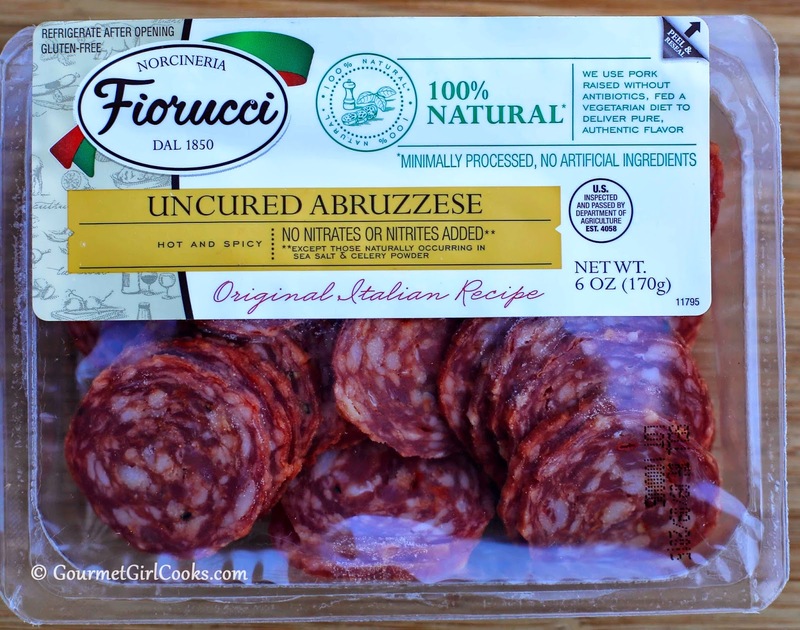 I topped it with Fiorucci uncured mini sliced salami that I picked up recently at Sam's Club as well as oven dried and roasted tomatoes (from Costco) and my favorite Bel Gioioso's fresh mozzarella cheese (also from Costco). It was simple to make and delicious. 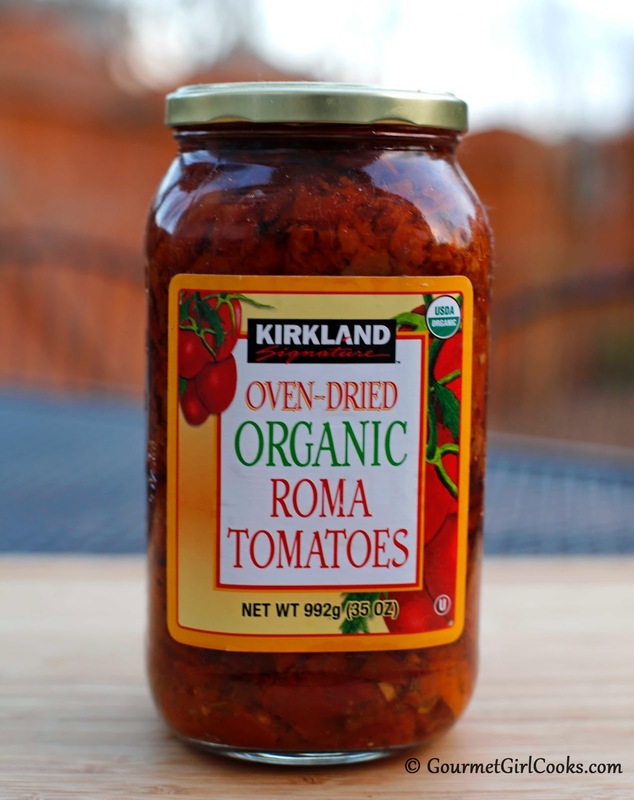 Below is a link to the no-flax crust recipe I used this evening. The only change I made was that I added 1/4 cup of shredded mozzarella cheese to the crust which made it even more delicious. 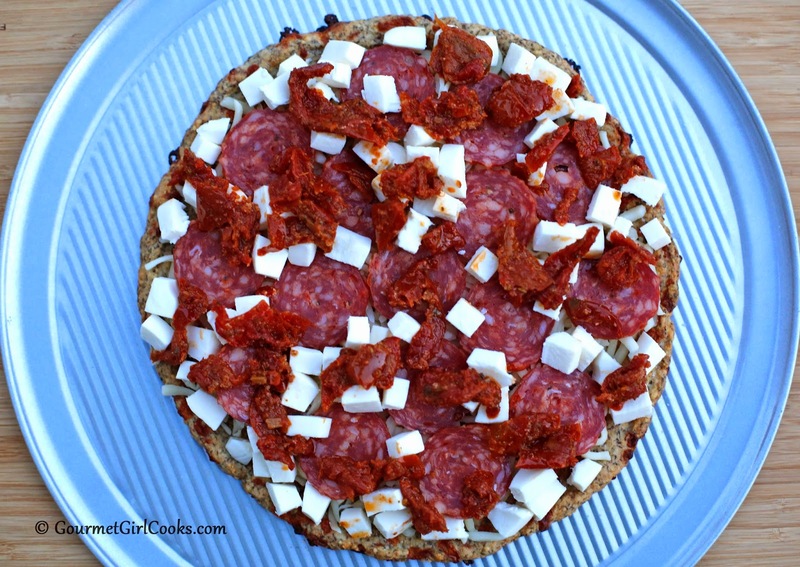 Click here for the recipe ---> No-Flax Pizza Crust. Enjoy!